The MEDEX Anchorage campus opened in 2009. The new state-of-the-art Health Sciences Building at the University of Alaska Anchorage is home to a range of health science education including PAs, the WWAMI medical school program and the UAA School of Nursing. Anchorage is proud of its frontier heritage, and also boasts the range of cultural venues expected in a major urban setting. Outside the Anchorage area, Alaska consists of many small villages not connected by roads. 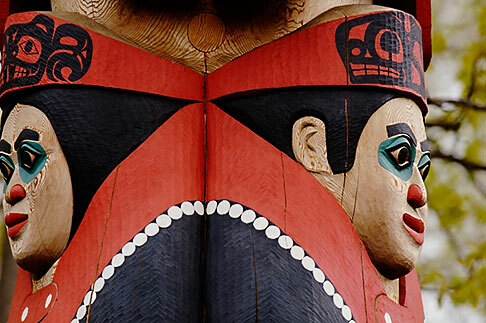 “Bush” Alaska is made up of cultures and environments that vary greatly across the state, from seaside fishing communities in Southeast Alaska to villages on the magnificent tundra of the Arctic Slope and Yukon-Kuskokwim Valley. Our village communities are in some of the most remote locations in the world, and access may only be available by small aircraft, boats, or snowmobiles. Alaska is the largest state in the nation, but has one of the smallest populations of any state. 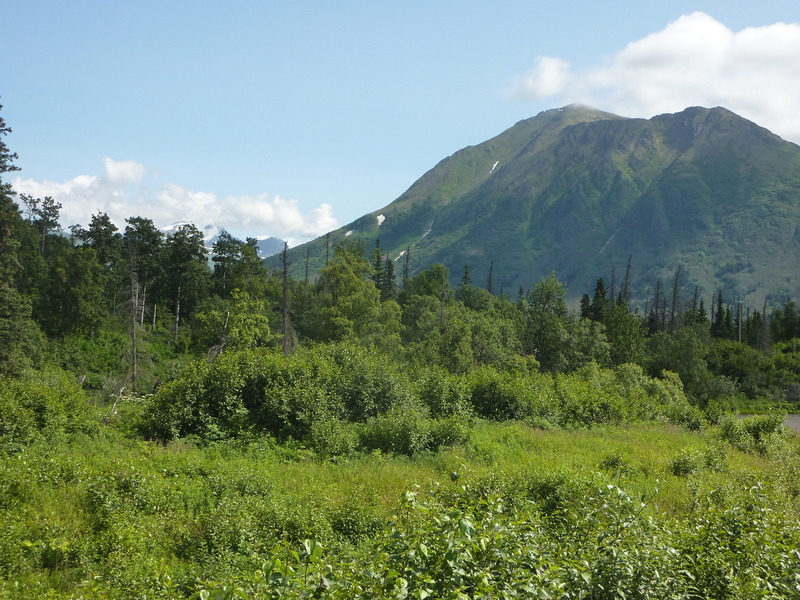 Alaska has frozen desert tundra and also is part of the rain forest. About half of the population of Alaska lives in Anchorage, a modern, culturally diverse city with differing lifestyles and independent spirits. We have seven indigenous tribes speaking 19 languages and smaller ethnic groups such as the Russian Old Believers, Somali, Hmong and others. Anchorage is home to artists, musicians and adventurers. Anchoragites eat out; if you’re not at the restaurant by 6, you’ll have to wait. 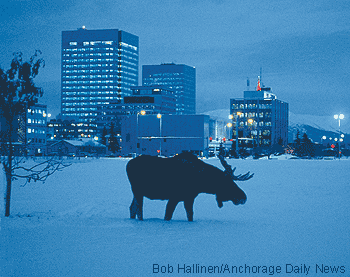 The Anchorage winter solstice night on December 22 lasts 18 hours and 33 minutes. The summer solstice day provides 22 hours of functional daylight. People are accustomed to “Alaska time”, where everything moves at a leisurely pace. Living in Anchorage is expensive because everything must be shipped in. 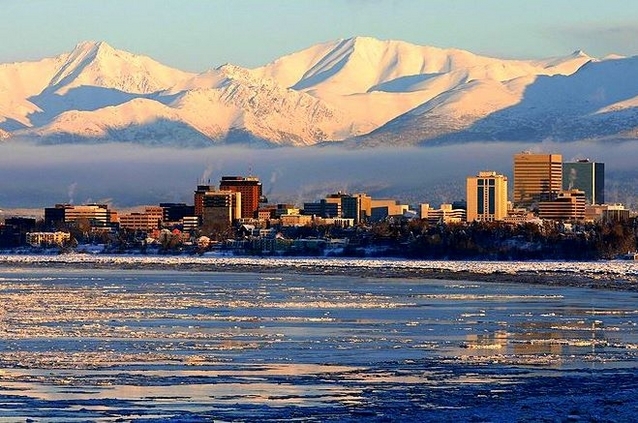 Anchorage is nestled between the Pacific Ocean and the foothills of the Chugach Mountain Range. The beautiful wilderness offers hunting and fishing, hiking, skiing, kayaking and more, although we have to share this space with the moose. During winter, more than 100 miles of groomed ski trails in the municipality allow in-town cross country skiing. Four distinct seasons—summer, fall, winter and breakup. Breakup occurs as winter ends, when the ice melts, allowing river transportation to some remote areas. In the summer you can drive the 980 miles from Seward in the south to Prudhoe Bay in the north. Despite winter snow, it’s easy to get around by car because Anchorage is flat. Anchorage has a reliable public transportation system. ANMC provides free medical services to anyone of Native Alaskan heritage. 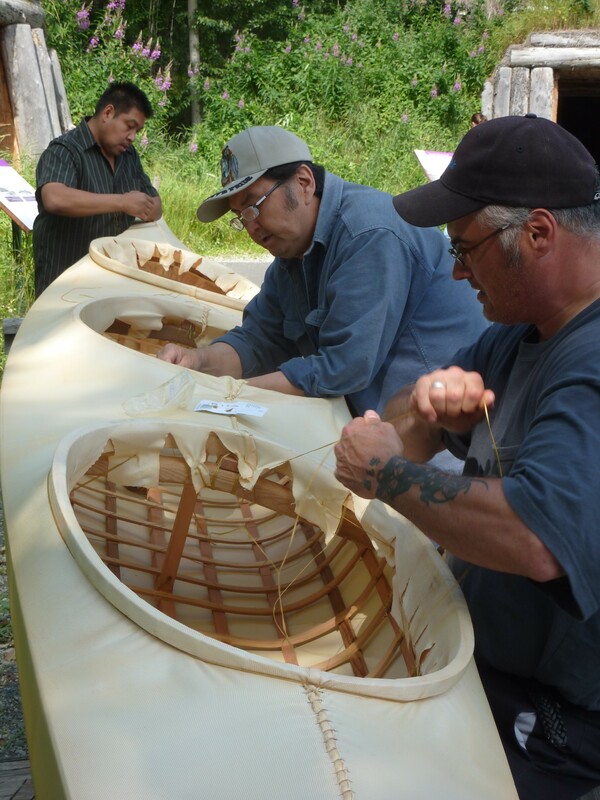 The hospital operates the innovative Traditional Healing Clinic within a western medical facility. The colorful Aurora Borealis is in effect all year, but is most visible in March and September, with clear skies and mild weather. Several Anchorage faculty members attended MEDEX for PA training. The faculty have lived and worked in various parts of Alaska including bush, city and villages. Anchorage students begin their training in Seattle, where they join the rest of their cohort from all sites for the opening summer session. Then it’s off to Anchorage. Second-year students may be assigned to remote sites for their clinical rotations. The Anchorage site seeks to train PAs who will serve the communities of Alaska.